We are consultants in fundraising and corporate community investment, as well as hands on professional fundraisers. We do the thinking and the doing. We have a passion for creating innovative fundraising and community investment strategies and campaigns to address social, education, health and community issues in the UK and overseas. 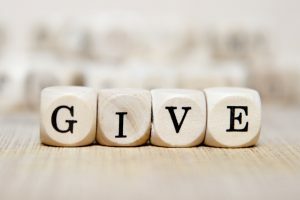 Specialists in corporate fundraising, sponsorship and corporate community engagement, we also offer full service fundraising strategy and hands on fundraising delivery, with expertise in all major areas of income generation. Established for 12.5 years as consultants and with 22+ years not for profit sector experience, our clients range from small local charities, not for profits and companies to large global organisations. Our results-driven approach is based on helping charities and not for profits to build multi-faceted and two-way relationships with funders. We also work with companies to create engaging community investment and employee involvement programmes, to deliver against CSR and community involvement objectives. Relationships are crafted to raise funds, awareness and support for charities and non-profit organisations, whilst also meeting the corporate community investment, community relations and philanthropic needs of donors, sponsors and partners. We work closely with our clients in order to gain a thorough understanding of and empathy for the organisation, their marketplace and challenges and of course, the cause. We also ensure our work fits closely with the organisation’s existing vision, mission, messaging and strategy. We are full members of the Institute of Fundraising and abide by their policies, procedures and Code of Conduct for Professional Fundraisers and Fundraising Consultants. We are full members of the Association of Fundraising Consultants, a gold standard peer vetted organisation. Bonnie Clayton is also a Board Director of the AFC. We never work with more than one organisation with a “competing” cause at the same time. We work with clients to ensure they can always direct access to and develop relationships with the funders we help approach on their behalf. We observe a strict confidentiality procedure in terms of information provided by our clients. We are committed to providing a quality service to our clients. If our work falls below the standard you expect then we want to hear from you. You can view our Complaints Procedure here. We have vast experience – as a group of senior consultants with specialisms in all major areas of fundraising in one practice. Our experience means we are able to work at a fast pace and get to grips with a new cause quickly. We have a vast knowledge of the world of fundraising, corporate community investment, sponsorship, charity communications and what makes donors tick. We are liaising with funders on a daily basis and have many contacts within the CSR and funding world. We see all sides. We have worked in the private, public and voluntary sectors and know how to create win-win-win relationships and partnerships for all parties. We are results driven – our business exists to help causes raise money in order to survive and grow their services. We are far from a purely strategic advisory agency, although we do take a strategic approach. We are self-sufficient and very flexible in our ways of working. As members of the Institute of Fundraising and Association of Fundraising Consultants, we abide by both organisations’ Codes of Conduct for Fundraisers and Fundraising Consultants. Both organisations prohibit working on any form of commission or performance related basis. For our professional fundraising and hands on fundraising services, we charge a daily rate. At the outset of a project, we will agree the number of days to be allocated. We only ever charge for actual time used and use a detailed timesheet system to record all work undertaken. For fundraising audits, strategy, training and other services, we pre-agree a fixed fee to undertake the project. All of our fees are charged plus VAT.